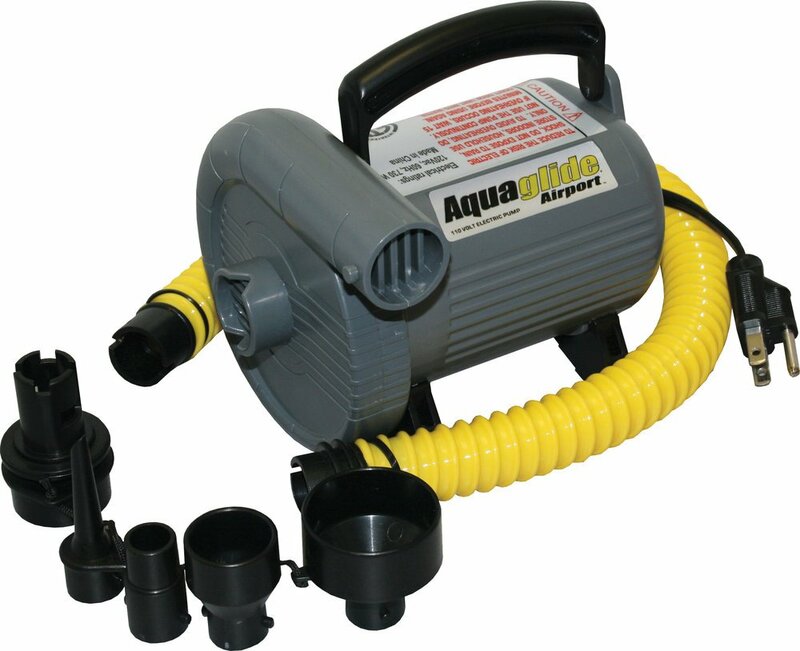 Powerful 110V electric pump specifically designed for quick inflation of watersports inflatables. Convenient deflate option helps remove trapped air for light storage. Includes kink-proof hose with attached fittings for Stern, Boston, and Halkey-Roberts type fittings. An excellent resource for inflating Aquaglide kayaks where electric power is availalbe. NOTE: Best for boats with XP floor or other low-pressure watersports equipment.